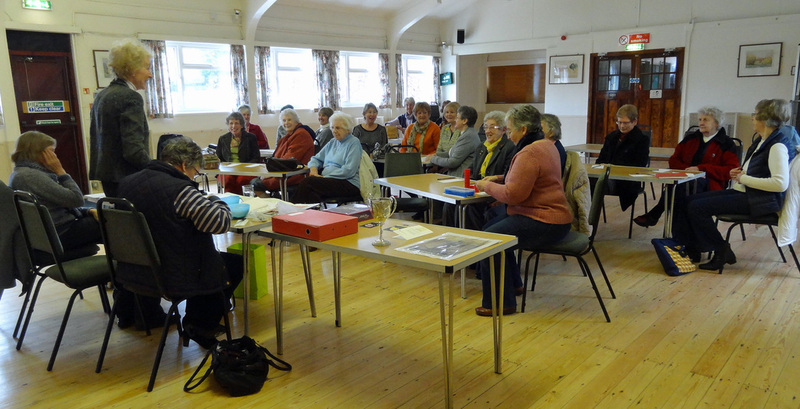 The Melbourne branch of the Yorkshire Countrywomen's Association meets at 2 pm on the third Monday of each month ( except August) in the village hall. Talks are held on a variety of subjects including history, travel, music, farming, art, gardening and protection of hedgehogs. Members have taken part in craft workshops making jewelry, hats and wicker garden ornaments. Sue Thomas Tel. 01759 319275 or Sally Tomalin Tel. 01759 318989. The first photograph below shows the audience enjoying "A Summer's Afternoon of Music" presented by Y.C.A. member, Susan Thomas.and her accompanist, David Hammond. The lower photograph is of an A.G.M.